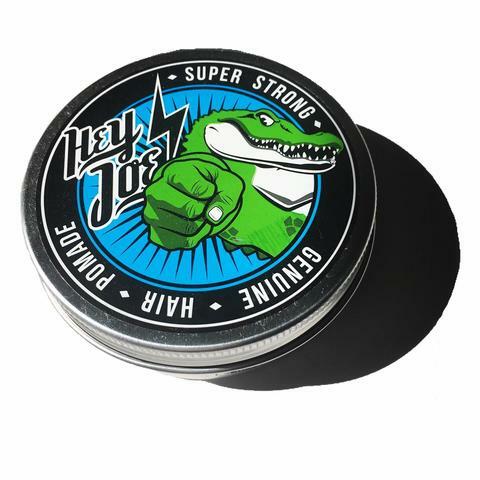 The second gel pomade by the popular brand Hey Joe! is here and adds some extra coolness. The well-trained alligator on the screw cap does not just show his muscles this time, but directly throws his fist against us. A first hint on the power of this pomade. 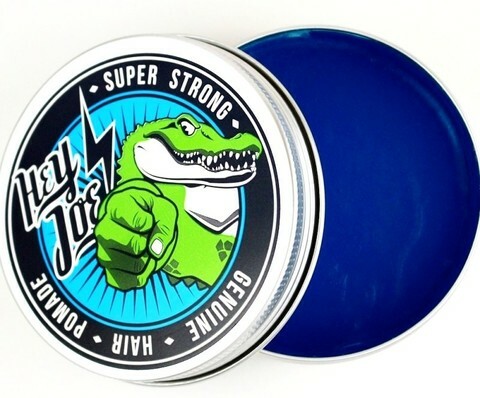 Unscrewing the lid, any impression of aggression flies away, since you feel like looking into a sunny pool: the pomade is ocean blue, almost clear and scents powerfully of fresh melons. It reminds of summer and holiday. The consistency seems not extremly hard either. It is not stronger than the "Hey Joe! Genuine Hair Pomade Strong", it even feels softer than that. It is easy to get out of the can, but between the hands you get a first idea of its strength. It is really sticky despite its creamy consistency. Yet it is quite easy to apply into the hair. It shows its power after a few moments. The hair, even the highest pomp gets tornado proof now. Still, the hair is easy to comb and can be re-styled all day. The hair style does not look dry, it gets a little sheen that gets matt after a few times of combing. The "Hey Joe! Super Strong Genuine Hair Pomade" is very easy to wash out due to its water base. Plain water is enough to get it out. Unfortunately, that is because of the chemical formula. Directions: Take one or two fingers of pomade, rub it between the palms and massage it into hair. Comb as desired, a brush adds volume and structure. Packaged in a very solid tin can with a screw cap and a cool alligator design.